The Hills Cricket Club were celebrating former President Jim Bennett in the clubhouse today as he stepped down after 15 years in office. 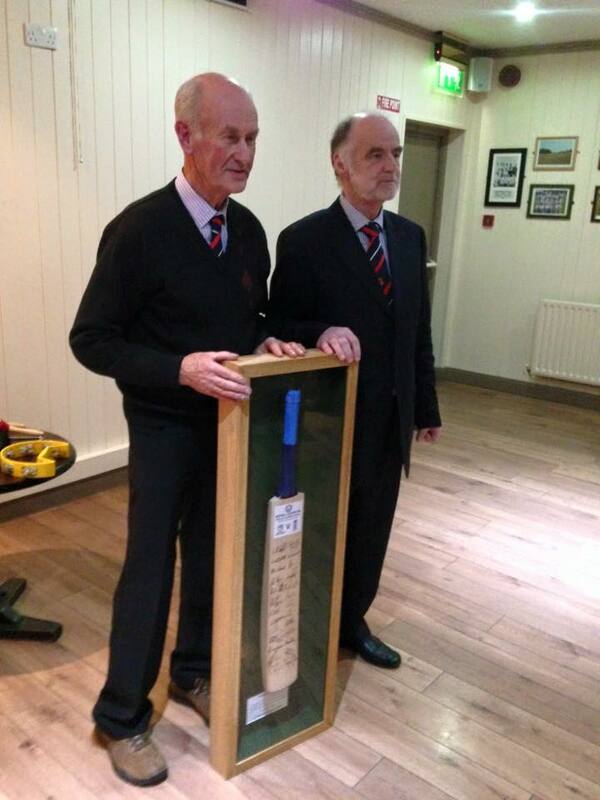 Thanks Jim for your many years of service to Ireland and Leinster cricket and of course the Hills cricket club. Incoming President Seamus Clinton seen here with the outgoing President Jim Bennett. 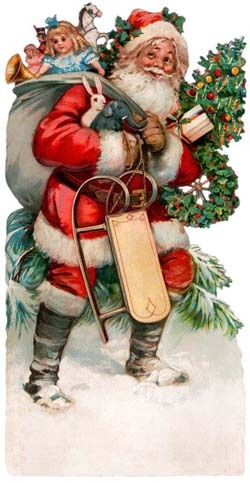 The tree sales continues each week morning from 10 to 12am and all day sat and Sunday from 10am Great value @ 45 euro a tree including delivery. Sunday’s sees the club celebrate the Jim Bennetts amazing term as President of the club with a presentation at 445 pm and Milverton national school will sing Christmas carols @ 530 with live music to follow. 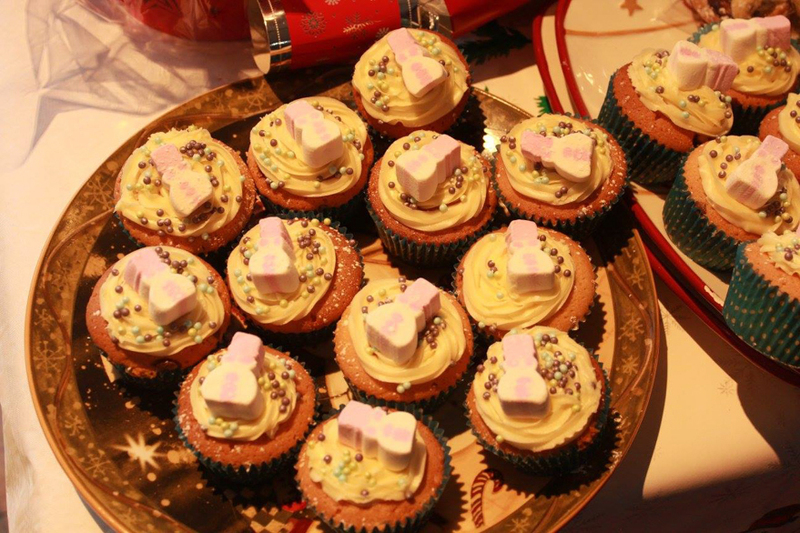 Mince Pies and Mulled Wine for all. A great evening to be had. 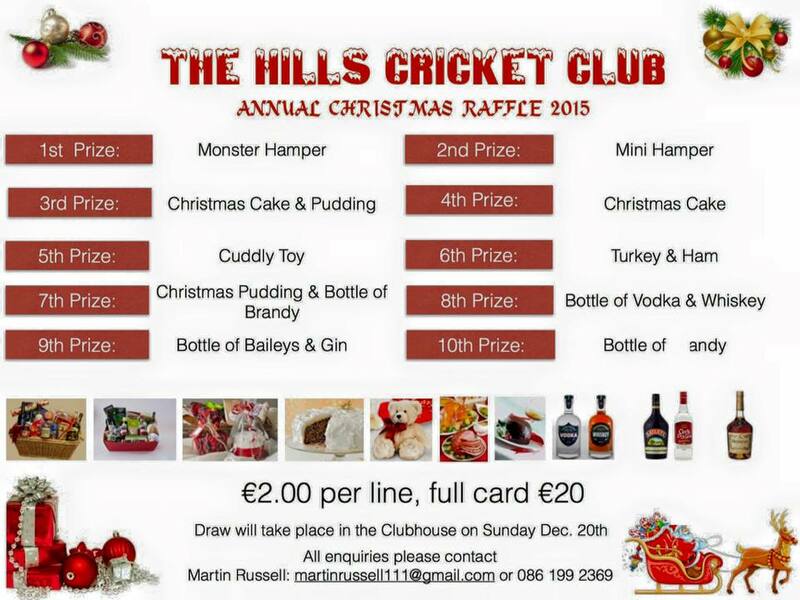 Don’t forget the Christmas draw with will be drawn Sunday week in the clubhouse after Santa heads home. 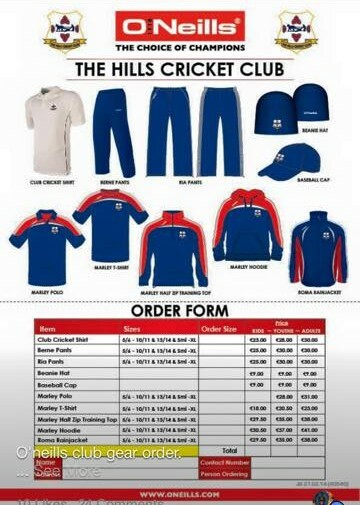 Are you struggling to think of a Christmas present for someone special………well why not buy an official Hills piece of club clothing? Polo tops, Rain jackets, Baseball caps or playing shirt. Or why not buy them their membership for season 2016? Another great gift idea. Hurry now as last orders are this Friday! Contact Gillian Byrne on +353 (87) 373 5251 or leave a message here. This is one of our most popular Christmas events with locally grown produce and home cooked treats to compliment your Christmas table. The event starts at 10am but come down early to get your pick of the goodies on show. The boys and girls from Milverton National School will be on hand to get us all into the Christmas spirit witha performance of carols for Chistmas. This event will also include a presenation to our long standing President Jim Bennett who is stepping down from his role after many years of valiant service on behalf of the club. After an incredible 8 years with The Hills Max Sorensen will be departing for pastures new for the 2016 season. Max will be taking up a position with Belfast based CIYMS. On behalf of everyone at the club we want to wish Max the very best of luck in this new phase of his career and thank him for all that he has done as a player and coach for the club. Knowing Max I know that he will want The Hills to continue grow and prosper both on and off the field, the friendships Max has made here at The Hills will last well into his old age not to mind next season. Thanks again Max for all the wonderful days and memories. Yesterday the Irish selectors announced their underage squads for the coming season and Harry Archer has been selected to repesent Ireland in the Under 15 team. Well done to Harry and the best of luck in the upcoming season. Cian Nulty (Balbriggan), JJ Garth (Pembroke), Neil Rock (Rush), Stuart Jackson (YMCA), Harry Archer (The Hills), Mikey O’Reilly (YMCA), Mitchell Thompson (YMCA), Gavin Hoey (Pembroke). © 2019 The Hills Cricket Club.